Plastic Paddy. Eachtrannach. These are the words that I have been called in the last few days as I am an American who has waded into conversations about the arrest of Gerry Adams. There have been worse thrown in for good measure by certain factions who are cranky about Americans who stick their noses into Irish politics – particularly from the Loyaliist side because apparently Americans often side with the Republican mindset when arguing, myself included. And yes, I am a foreigner who lives in America and was not born in Ireland. I am not there now, when the fragile truce is closer to breaking than any other time since the Peace Accord and I did not have to live through the horrible events of the Troubles. I have spent over 20 years studying the history, politics, and sociology of the Irish and the only thing that education lacks is the first hand experience. This subject is my greatest passion. I have an entire room full of books dedicated to Irish history and the societal struggles, including the controversial ‘Voices From the Grave’ – which started this current debacle in the North of Ireland. I was thrilled to hear about the interviews in Boston and excited to read all of the books that I thought would come out but was horrified and angry when Boston College failed to protect its sources for their Oral History project. I was afraid then about what might happen in my heart’s home and I had every right to be, since the predictions I made while following that project and the resulting subpoenas have now unfortunately come true. 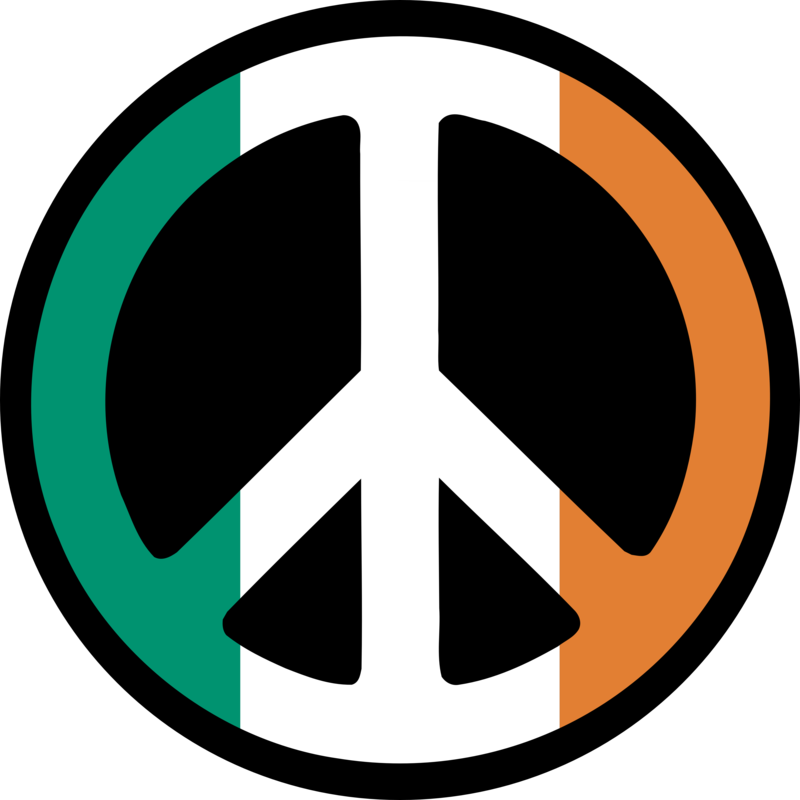 From too far away, I watch the events unfold in Ireland with trepidation and a cynicism that fills my heart with sadness and fear for what is to come. I am glued to the internet for news in Ireland, as most of the time, America can’t be bothered with any. Even this week, the headlines boldly printed the fact that Gerry Adams was arrested, but there’s been barely more than a sentence since and for me, that is not enough. I tuned into conversations on social media sites because I have no one to talk to about it here – since most of my friends are sick to death of hearing me talk about it. Their eyes glaze when I start speaking fervently about somewhere they don’t care about or understand – or worse, there’s a little smile and a shake of the head that says ‘there she goes again’ while they humor me. So I watch documentaries, news from other countries and search the internet for a conversation that I can participate in – one that doesn’t just dismiss this Plastic Paddy, who happens to be really educated on the subject and just wants to find others who are as passionate about it as she is. What I found instead are thread after thread of infighting, arguments, how Irish are you competitions and closing doors. Most of the time it was not directed at me, but as I read through them I knew that there really is no safe place in this conversation for anyone – Irish or not. The many factions within Ireland can’t even talk to each other without cruelty and threat – reiterating what I witnessed first hand on a trip to Belfast a couple months ago – the Troubles are just a whisper away…and the arrest of Gerry Adams may be the final nail in the coffin of the incredibly fragile peace that a lot of Ireland so desperately wanted. Gerry Adams was arrested in possible connection to the 1972 murder of Jean McConville, a connection that has haunted him since the Belfast interviews at Boston College and before. The PSNI, in collusion with the American government, have used the information obtained in those interviews to arrest many Republicans in the last few months – and their target and crown jewel was always going to be Gerry Adams. But I have to wonder about how little progress has been made with the UDA or the UVF terrorists also listed in those interviews – and why we have not heard of their arrests, as they were just as violent and murderous as the I.R.A. If this is truly a criminal arrest without political motivation, surely there would be big shots on BOTH sides being thrown in jail, right? Wrong. Now I have no doubt in my mind that Gerry Adams was at one point in the I.R.A. and that he might have done some horrible things 40 years ago. My heart broke for the sadness, bitterness and frankly dangerous and lonely lives of Jean McConville’s children, who just want answers. I understand their need. But justice has to be even – and it is not. Over the years, many Irish courts have repeatedly decided not to prosecute, not to reopen cases and not to investigate other situations in the interest of peace, much to the dismay of the victims. This one, this HUGE thing that could break the back of power sharing in the north and destabilize politics in all of Ireland, this is the one that they are pursuing. We must wonder why and we must look at a much bigger picture. Sinn Fein has risen from being the I.R.A.’s political wing to existing as a viable party that was largely responsible for the cease fire and is slated to win many seats in the election just weeks from now. At least they were, until this move by the British Police. Gerry Adams should arguably have shared John Hume’s Nobel Peace Prize for his work in making the Good Friday Agreement a reality and without him it would not have come to fruition. This begs the question – at what point do we excuse one’s past for his work in the present and on the future? This is a question I’ve struggled with and pondered for weeks now. It’s hard not to make the comparison to Nelson Mandela – a terrorist and rabble rouser who spent 30 years in jail and came out of it a politician and world hero. I am sure in his wake there were many people who were dissatisfied with this elevation – who always saw him as a criminal or a terrorist and who would have loved to see him rot forever in that jail cell. The same is true of Gerry Adams. He runs the risk of being assassinated everywhere he goes and from all sides, including the one he may or may not have fought for as a younger man. But he put down the gun in favor of compromise, left the war to forge a kind of peace and has been fighting to make his corner of the world better for years. Was he always this man? Certainly not – in fact, he was likely the exact opposite. He is also a politician – which you cannot be unless you have mastered the arts of deniability and bold-faced lying, and I have no particular fondness for any of them, anywhere in the world. Still this arrest is a dangerous move and should be quickly resolved or everything he and his Sinn Fein counterparts have worked for may quite literally, explode. I don’t have an answer to whether or not Gerry Adams was involved in the murder. I wasn’t even alive in 1972. I have a well educated guess or 2 and all I will say is that the only certainty in life is change. He changed quite a lot over the years and went from being on terror lists that banned him from travel and from radio and television, to being one of the most recognized superstar politicians in the world. He helped engineer one of the most important agreements for peace in recent memory and has led his political party to a larger area of success than ever before. His level headed leadership is desperately needed, as anyone listening to Martin McGuinness’ public fury can attest to. The authorities need to release him before the frustration and violence boils over in Belfast again, in the interest of peace. If Irish courts who should be looking into Bloody Sunday and British Collusion but won’t can use that excuse, then so should the authorities now – instead of holding one of the only men who achieved what years of civil war could not – a power-sharing, mostly peaceful existence. It won’t answer what happened or who was responsible for Jean McConville. We wouldn’t get that whether they keep him or not. Sometimes, we don’t get answers as heartbreaking as that may be and I am so very sorry for her family. But when an astute reporter asked one of her daughters if it was worth the price of peace and she said yes, this Plastic Paddy in a far away land shook her red head in disagreement, even as my empathy rose and my moral compass flitted back and forth. Peace is invaluable. On the road to it – in any kind of war – many terrible things happen that we all wish wouldn’t and thousands are affected. Any human should mourn with each and every one and abhor the acts that destroy families and ideals anywhere, hoping that peace will be the result in the end. If we are lucky enough to achieve that goal, it should be protected by any means necessary and if that means leaving some questions unanswered, so be it. In the interest of Peace. This entry was posted in Ireland, Politics and tagged Belfast, elections, Gerry Adams, Ireland, Irish Politics, Politics, PSNI, Sinn Fein. I cant imagine a woman being killed by Gerry Adams, but I would not rule out another woman doing it, BUT IN WAR TIMES, a spy would be open season. a minority controlling a majority, would never get supported without outside help. and when you have that, you then have the means of rubbing out the trail that you have just made.